I’m looking so forward to our upcoming series on Parenting. Please check out Tanya’s post here for more information. Thanks Tanya for putting this together and thank you writers for creating posts for us to publish!!! It’s soon time for the September Parenting Weekend. 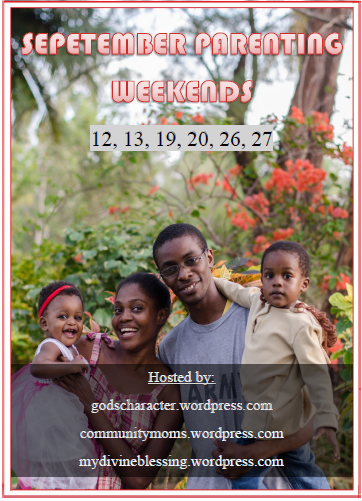 Don’t forget to that the contact email for this series is godscharacter@outlook.com. If you are interested in writing in this series please feel free to contact me, Tanya, at the above email.